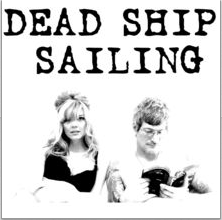 Dead Ship Sailing caught my ears on KEXP Song of the Day. The hazy gritty retro sound of this Seattle-Duo makes me wanna tease my hair, slide into leather leggings and pout with my favorite red lipstick. Their Self Titled Debut album released last month and you can find it on iTunes. Check them out LIVE on KEXP December 7, 2013.